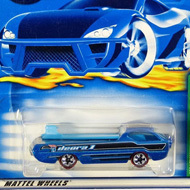 12/12 from the 2001 Treasure Hunt series. The black and white truck is emblazoned with green and black graphics, the TH logo on the sides, and “Cabbin Fever” in gold on the roof. 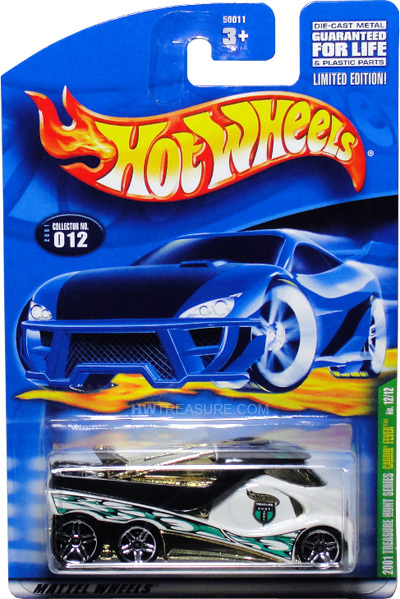 It has gold chrome windows, PR5 wheels, and a gold chrome Malaysia base.